Final senior thesis project for my class at San Francisco State University, DAI 505: Research & Development Laboratory. Students design their own problem and through research, design a system to solve the design problem. The final outcome consist of a 30x40 summary poster, UI application design, short video, stickers, buttons, a commemorative book, and process book. Click here to for an in-depth read of the entire project. Social media culture among young smartphone users in an urban setting handicaps their ability to verbally communicate and interact with others. It’s increasingly difficult to properly portray emotion and other non-verbal cues through today’s popular means of communication. In order for young people to communicate effectively with one another, they must recognize vulnerabilities among their selves and learn to deal with complex situations that occur in their everyday lives. By listening to each other, including to the boring bits, it’s when we stumble, or hesitate, or we lose our words that we reveal ourselves to each other. 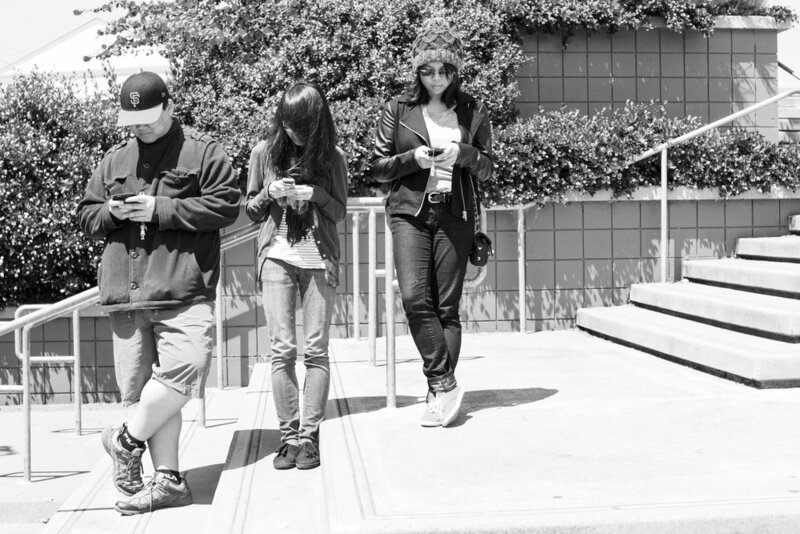 How can we make social media and texting communication more intimate? How can we translate this intimacy from virtual into real? Is there a way to create a balance for tech communication? In an effort to have young smartphone users put their phones down and engage in real world social activities and conversations, a software application was introduced. By masking face-to face communication and creating the illusion of smartphone engagement, this application promotes the idea of having shared experiences, thus generating conversation. Inspired by exploration software’s, this application is geared towards a younger audience as they are becoming just as technologically proficient as adults. 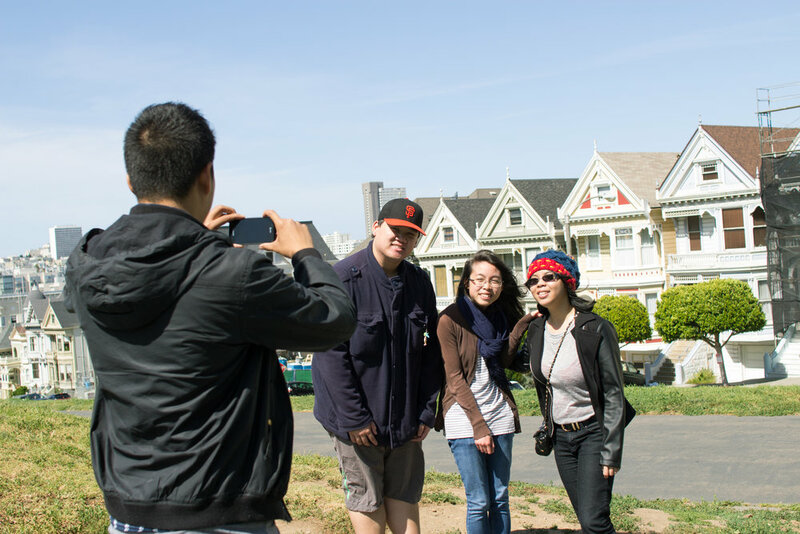 EXPsf encourages youth collaboration while exploring their city and incorporates a gaming element in hopes to create a balance with technology use. Ideally, this application presents itself as an after-school activity for youth to take part in so the experiences will not occupy the evening hours for curfews, dinner and homework. In addition, the user has the option to participate as little as once a week to as much as all four days of the week in these experiences. The time frame ranges from one hour up to three hours depending on how the user utilizes their experiences. Photographs by Dana Lui. Video recordings by Silver Friedline. Photograph/video subjects credits to Sophia Quang, Jessylyn Los Banos, Brandon Kwong, and Justin Austria Pangilinan.